At Balliol, we take pride in our blue uniform. If shows us that we all belong to the same school and we encourage all our children to feel proud to wear it. Although we hold no uniform stock on the premises to sell, we hold sample sizes of jumpers in the main school office. Once you have decided on the right size, we can order your uniform with the school logo on it. 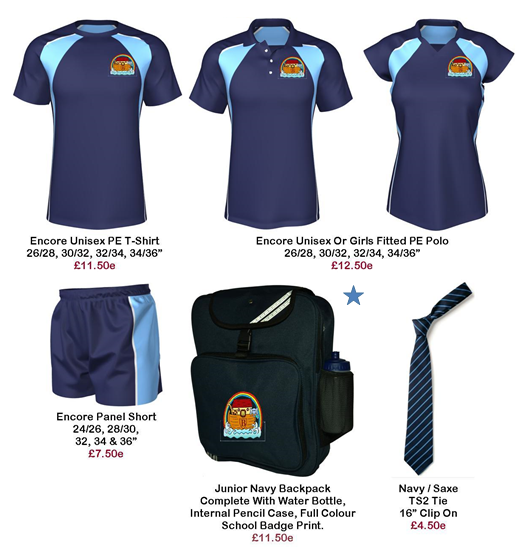 Alternatively, you can order all of your school uniform and book bags with the embroidered logo at our My Clothing uniform site or Prestige site for Years 5 and 6. My Clothing Embroidered Uniform Click here to go to the My Clothing page. 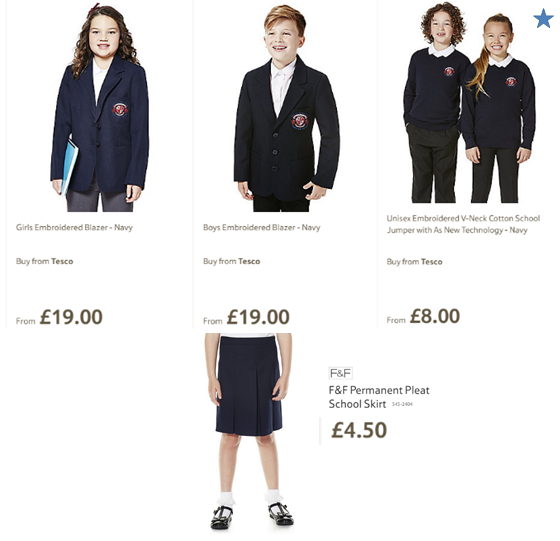 Prestige Design - Years 5 and 6 Online uniform for Years 5 and 6. Whilst all religious jewellery will be respected, we ask for rings, watches and necklaces to be left at home. Studs are now permissible for PE but long hoop earrings can catch on climbing apparatus and cause a nasty injury. Children at Balliol wear a slightly different uniform when the move into Years 5 and 6. The below items can be ordered directly from My Clothing using the link above for delivery directly to your home. White school blouses/shirts and black or grey school trousers can be purchased from a store of your choice. Girls should wear navy blue skirts only, preferably pleated. The Balliol school jumper is optional for Years 5 and 6, but if worn, must be navy blue in colour. The below items can be ordered directly from Prestige Design for delivery directly to your home. A navy blue tracksuit and navy blue football socks should also be purchased from a store of your choice. The school tie can be purchased from the school office for £4.50.